Politicians and school officials often argue that higher education is the solution to many of our social, and economic problems. Educating Inequality argues that in order to reduce inequality and enhance social mobility, public policies are needed to revamp the financial aid system and increase the number of good jobs. 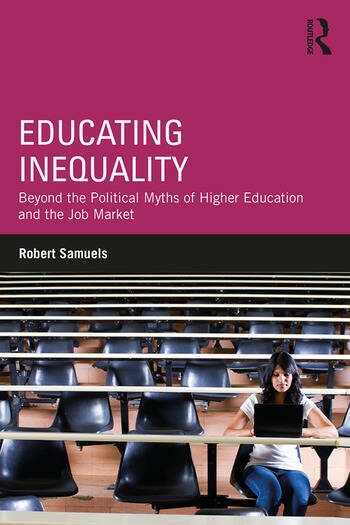 Exploring topics such as the fairness of the current social system, the focus on individual competition in an unequal society, and democracy and capitalism in higher education, this important book seeks to uncover the major myths that shape how people view higher education and its relation to the economy. Looking to models that generate economic mobility and social equality, this book advocates a broader vision for public higher education to promote universal equality and global awareness. Chapter 8: Will Technology and the Free Market Save Higher Ed and the Job Market? Robert Samuels is a Lecturer in the Writing Program at the University of California, Santa Barbara, USA.